There are three pastures on the map. Owning cows grazing in the pastures will provide food and gold (10 food, 5 gold per cow every 30 seconds) based on the capacity of the pasture until the field becomes overgrazed. You will then have to wait to gather new resources. As a result, it is good practice to migrate your cattle to different pastures as they become overgrazed. On Easy, fields take 5 minutes to grow back; Medium: 7.5 minutes; Hard: 10 minutes. As the chilled fingers of an Irish Sea breeze swept across his weathered face, Domnall Mac Murchada, king of Mide, stood upon the bloodied hill he conquered before a silent host of petty kings and retainers; men who were little more than bandits and raiders with prestigious titles of nobility earned through the blood and sweat of many wild and triumphant cattle raids. The wind carried the sound of trumpet blasts as an army of the warlike High King Ã�ï¿½Ã¯Â¿Â½ed AllÃ�ï¿½Ã�Â¡n marched against this newly bloodied hillfort at Mag Sered. The High King's host had already seized the village of Ceannanas, mighty as it was, for in its ranks included the kings of the AirgÃ�ï¿½Ã�Â­alla, a federation of tribes whose origins dated back centuries. The perilous sisters of pride and righteous retribution had brought Domnall here to this patchy hillock. The treacherous High King's rule had rift the island into conflict and his strangulation of Conaing, king of Brega, had brought personal retribution to the mind of Domnall. A pious man who could list the litany of deeds and miracles of the Twelves Apostles of Ireland and who held Saint Columba as his personal patron, Domnall knew his cause was just and therefore ordained. 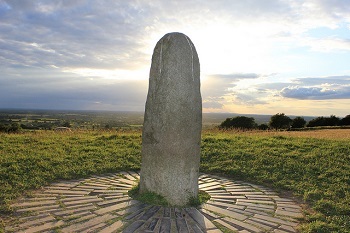 He would slay Ã�ï¿½Ã¯Â¿Â½ed AllÃ�ï¿½Ã�Â¡n and seize the Hill of Tara, seat of the High Kings of Ireland. There, he would stand before the Lia FÃ�ï¿½Ã�Â¡il, the Stone of Destiny, and receive his divine reward: the crown of the High King. Grasping his axe, Domnall whispered a prayer as the wind and trumpets bellowed the arrival of bloodshed. Of Cows and Kings is Al_Kharn the Great's rendition of Domnall Mac Murchada's quest to rule all of Ireland. Throughout the scenario, the player will gradually expand their dominion from a small hill fort to virtual hegemony through conquest of neighboring kingdoms and eventually a bloody siege of the High King's fortress on the Hill of Tara. Perhaps the most impressive aspect of the playability is the sheer number of choices available to the player throughout the scenario. From choosing which faction of troops to recruit at the start (and, thus for the rest of the scenario) to alliances and economic investments (resources are fairly limited, at least early on), the scenario offers a high degree of replayability. Played it once having picked the bowmen and allied with Muinderg? Have another go and pick the woad raiders and ally with Frossach. An aesthetically pleasing map, unique narrative elements, and challenging opponents contributed to the entertainment value. However, there were a few downsides. The most problematic by far were the copious pathfinding issues derived from a combination of HD's inherent performance flaws and abundant use of off-grid placement. This became particularly frustrating when pushing into enemy lands, as the path of conquest became quite literally difficult for your men to negotiate. Throughout most of the scenario, the balance was generally strong. Playing on hard difficulty, I found myself locked in a close struggle with enemy attackers during the early and middle stages, and battles required effective army composition and strategy in order to succeed. An additional welcome challenge was present in the defense of your herds of cows from enemy raiders seeking to steal them and hamstring your economic output. Nevertheless, some aspects of the balance could go to see a bit of improvement. One notable issue is that all choices are not created equal - for example, some of the army faction choices are far stronger than others. None of the other three hold a candle to the bowmen, which are far and away the strongest choice, not only for sniping down enemy leaders at the opening battle, but also because they allow the player to simply spam archers and essentially put their defenses on autopilot at that point. A squad of 20 archery units can run around the map killing everything with little opposition. Similarly, the ease with which Frossach and Muinderg can both be defeated makes killing them both off a fairly obvious choice in order to obtain the associated benefits. Another issue pertained to the attack on the Airgialla - due to a mistake in the data their tall walls take only one point of damage per hit from everything, requiring the player to attempt to force rams through a two-tile gap once the gate is destroyed to attack a castle while that gap is flooded with enemy units who are both trained at military buildings and spawned en masse by triggers. In general the balance was good for much of the scenario, but once the player hit critical mass of troops they had little more to do than throw scores of men into the meatgrinder to wear down the enemy defenses, something that didn't require much strategy. The author showcased an ample amount of creativity through an effective mixture of invented and borrowed map design tricks, numerous and creative objectives, and particularly the backbone mechanic of the scenario: guarding herds of grazing cows to earn food and gold income. The manner in which the narrative is told was rather novel, especially the means by which the player "writes" their own history piece through the choices that they make. Overall this category was a boon to the scenario and a continuation of the author's excellence in this sphere of design. The map was varied and aesthetically pleasing, in many ways pushing the editor to its full potential. Particularly effective were the numerous means by which the author portrayed farmland, something that was done with a striking level of variance that I haven't seen since playing Julius999's PTC13 entry. The layout of each individual settlement was diverse and engaging, with particular highlights being the fortresses of Tara and Rath Chairn. The achilles heel of the map design, however, was the extensive usage of off-grid placement, which hampered building placement and as aforementioned damaged the pathfinding to a significant degree. For what was quite an intricate scenario, the gameplay was remarkably clear due to a useful set of clear instructions both within the objectives/hints/scouts menu and also appearing throughout the scenario. As mentioned above, the narrative style was pulled off in excellent fashion through a combination of dialogue, an engaging soundtrack, and short writeups (especially the aforementioned historical account feature). A credit to the scenario and to the designer's record of excellent storytelling through custom scenarios, this sphere does not disappoint. Despite the issues mentioned above during the review, this scenario was an excellent way to spend my Tuesday afternoon and I thoroughly recommend the download!